Ivy Creek Baptist Church is more than a building, it’s a family. A family of believers who are constantly learning what it means to follow Christ, together. We are glad you are interested in learning more about our church. We invite you to explore our site to find out more about the people who go here and the Christ we serve. The video below will give you a good idea of what to expect each Sunday. Sunday Morning Worship: 9:30 and 11:00 a.m.
Our two, duplicate worship services on Sunday mornings are each approximately 70 minutes long. We meet for Worship in the main sanctuary of the church. We have a children’s ministry for kids ages 1-11. Kids are dismissed to their classes during a break between singing and the sermon. Check out the Preschool Check-In and Pick-Up procedure here. There is a welcome center in the lobby when you first come into the main sanctuary. 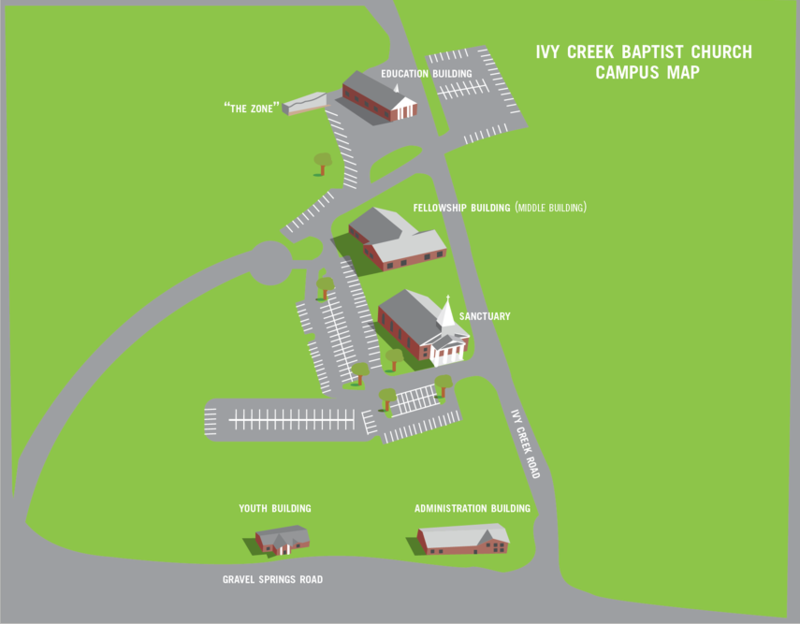 We have resources there to help you understand Ivy Creek Baptist Church and someone will be there to answer any questions you may have.